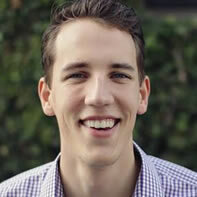 Peter Swanson is a writer with a passion for empowering others to be self-starters. Navigating the world of start-ups, freelancers, and entrepreneurs, Peter is bent on clear communication, working with integrity, and spreading a "get it done" attitude. He obtained his Bachelor's in English from Biola University. Could Your Boss Do Your Job – and Does It Matter? Do Tinder Users Care How Much You Make?